An Attractive & Stylish Range of Storage Solution. Our storage solution range is ideal for children's rooms, nurseries and playrooms. The large basket is ideal for daily tidy up, spacious and durable, it can remain on the floor and hold any number of books, toys, blankets and more. 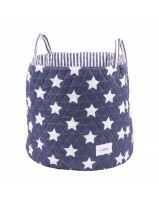 Size : D\45cm x H\40cm. 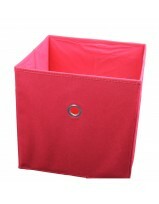 This attractive square storage box comes in 4 colors to match your baby's room. 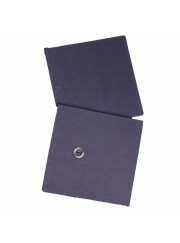 These boxes not only look great but are perfect for storing toys, books, blankets etc. Can be flat packed when not in use. The ideal size for storage within wardrobes and cupboards, yet pretty enough to have on display. Our small storage box also collapses when not in use.Our storage solution range is ideal for children's rooms, nurseries and playrooms. The small storage box is the perfect changing table organizer; use it for storage of cotton wool, nappy cream, wipes, nappies and more. 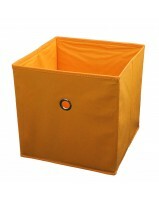 Storage Cubes, Perfact size to fit within wardrobes & shelving units. 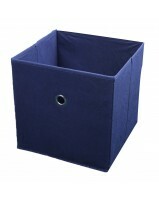 Size : Minene’s Storage Box Cube is 29x29x29 cms. Wipe clean with damp cloth and mild detergent. Size : D\22cm x H\18cm.